Plantronics is known for their high-end audio communication products, focusing primarily on the business crowd. Plantronics has made it their goal to deliver on headset quality, whether it’s for your job or just for casual use. Some of their products are on the expensive side, but there are still plenty of affordable high quality devices. The .Audio 476 DSP is a brand new Plantronics product that boasts high quality, whether it’s for communication, music, or gaming all at an affordable price. Can the 476 DSP’s live up to the advertised mobility, sound, and comfort? Or will they end up feeling like just another cheap headset? 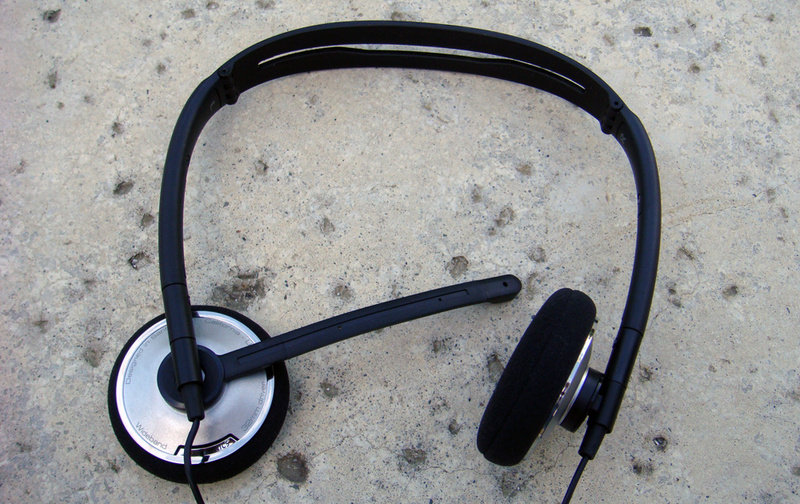 The fold-and-go structure is one of the best features of this headset. The earpieces can swivel and the entire headband folds at two locations—allowing for the set to fold into itself. The microphone rests parallel to the left portion of the headband above the earpiece and can fold in and out. This leaves the microphone unnoticeable when not in use. This is perfect for quick and immediate use for when you need to make a quick business call or to get your friends into an online match of your favorite game. There is a remote a few inches down the cable that’s about the size of your thumb which controls the volume and microphone. Perfect for travelers, Plantronics designed the device with portability in mind. One thing worth complaining about would be the excessive length of the cable. Considering these headphones are for a computer, desktop, or notebook, there is no reason why the cable is this long. It makes folding up the device a challenge with the cable getting tangled. This is potentially detrimental to the lifespan of the product if not stored carefully. With that being said, if you are someone who likes moving around when talking, this device offers leeway. The 476 DSPs couldn’t be easier to set up and use. 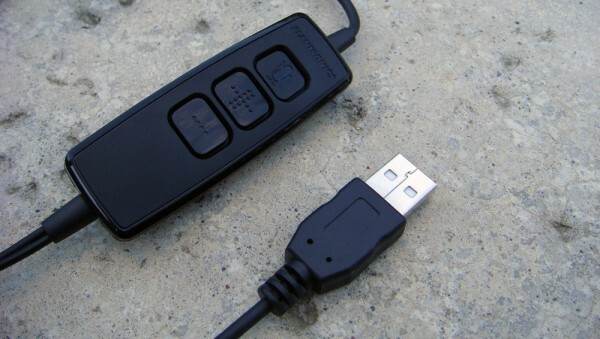 This device utilizes a single USB port rather than an analogue audio and microphone connection, where the latter is typically found in headsets. The headset works right out of the box without having to install any additional software. It’s easy, it’s quick, and it’s just plug-and-play. I could immediately customize which programs recognized either the speakers, microphone, or both. I was able to continue to use my computer’s speakers while only using the headset’s microphone when the situation allowed. Although I used Windows 7 the headset is also compatible with other Windows operating systems as well as Macintosh. When it comes down to it, the headset works exactly like you want it to and is a cinch to use. 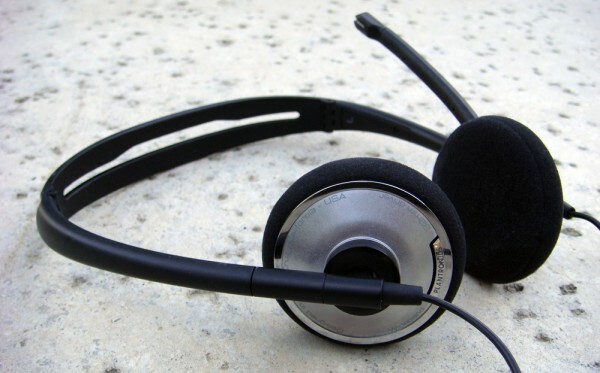 I used the headset for gaming with Steam and the most with Skype 4.0, which was advertised on the box. While it’s hard to expect top-notch quality from a moderately priced headsets, Plantronics is typically known for quality products. The end result is actually somewhere in between. Getting right down to it, you likely won’t be using these headphones to listen to music anytime soon. The bass is just too dirty and the treble is not nearly high enough. The result is distorted and grainy audio quality. They aren’t necessarily terrible for music—it’s just that there are better sounding headphones for the same price. Another annoying factor? Sound isolation is terrible. Get comfortable with everyone around knowing your playlist. Now, with that rant out of the way, the microphone quality is absolutely perfect. Voice recognition is spot on. Communicating on Skype, Trillian, Steam, and other programs was a crisp and clear process. The noise cancellation technology worked like a charm. A friend over Skype couldn’t even hear my phone go off when it was only inches away. We even had someone yell in the same room and the receiving end couldn’t hear a thing. It shines when being used strictly for communication, but falls short when being used strictly for music. As mentioned, the 476 DSP’s can fold at key points, allowing for maximum portability. It has a square-like build where each leg folds into each other and the earpieces swivel completing its ergonomic shape. Plantronics also mentions including a carrying case that will compliment its folded size, although one wasn’t included with our review unit. The cable, once again, is just way too long to wrap the headphones in a space-conserving manner. They add an unnecessary bulk to the folded up product, but not enough to make it a problem. In regards to the square-like build, it does feel and look like you’re wearing a box. Although a bit awkward, this shape does have its purpose. Whether you’re a heavy gamer or a workaholic chances are that you will end up using this device for significant periods at a time. This shape prevents the typical headset “indent” into your hair. The foam surrounding the earpieces is fairly comfortable and doesn’t irritate the ears, even after hours of use. This product isn’t going to be winning any awards for comfort, but still works out quite nicely. The bottom line? The .Audio 476 DSP’s deliver on exactly what Plantronics advertised. The sound quality and noise cancellation work well together to provide a lightweight headset for heavy travelers. With a simple set-up process any employee, gamer, or a family can contact whoever they need to quickly. It does have its drawbacks especially when it comes to listening to high quality music. Using this product got me on Skype day in and day out. It worked great for video chatting online or having a private, subtle conversation in public. Overall, Plantronics provides an excellent headset at an affordable price. Although the original MSRP was $40, the price of the .Audio 476 DSP has jumped to $55. While the original price tag was appealing, if you are a serious user or a constant traveling, this product will be one of the better ones available at its price.